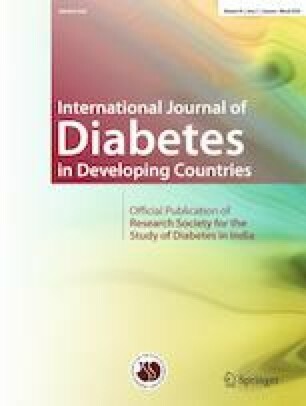 To study the effect of transitional care on the prevention of diabetic foot ulcers (DFU) in patients at high risk for diabetic foot. A total of 284 diabetic patients at high risk for DFU were randomly divided into case and control groups (142 cases in each group). The control group was provided with conventional care in hospital. The case group received the transitional care intervention, including individualized education about diabetes mellitus and DFU, instruction in foot care, and the assistant management of calluses and the evaluation on quality of life. Both groups were followed up for 2 years. The levels of blood glucose, blood pressure and serum lipids, and foot dorsal artery pulse, 10-g monofilament nylon fiber probe test, knowledge of foot care, and diabetes quality of life (DQOL) in two groups were compared before and after transitional care intervention. There were statistically significant improvements in the case group compared with the control group in plasma glucose and blood pressure levels, and in foot dorsal artery pulse, 10-g monofilament nylon fiber probe test, knowledge of foot care, and DQOL. The incidence of DFU was lower, and the ulcers also were milder in the case group than in the control group. Transitional care was beneficial to the prevention of DFU and could reduce the development of DFU and improve the patients’ quality of life. The authors would like to thank the patients enrolled in the study and all doctors and nurses at the Department of Orthopedics, Beijing Shijitan Hospital. The study was approved by the ethics committee of Beijing Shijitan Hospital, and all patients provided written informed consent.